For those of you who look for a vector image of a teacher. Please checkout the teacher vector image we made. The file can be downloaded and exclusive only from Fotolia. 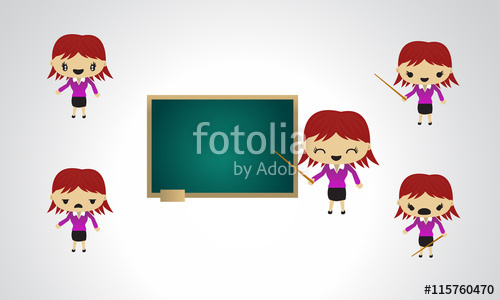 This vector image has 5 different moods of teacher. And can be open on any Corel and Adobe Illustrator versions.